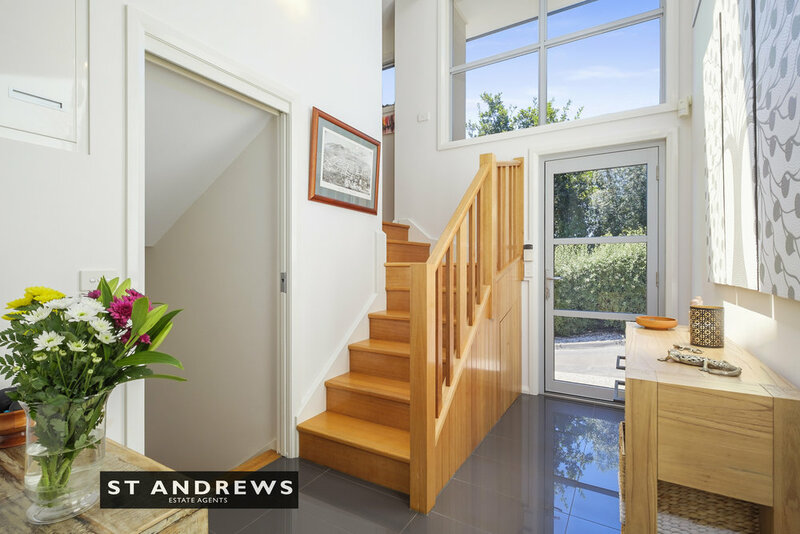 Impeccable free-standing townhouse in secluded blue-ribbon setting. 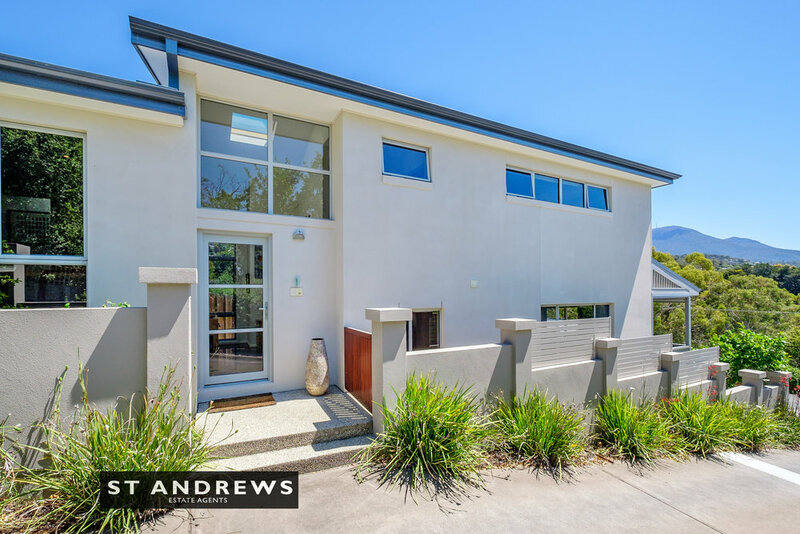 Constructed in 2008 this immaculately presented stand-alone townhouse is positioned within a development of six, in a secluded and leafy setting near the terminus of a no through road, within one of Hobart’s most prestigious suburbs. 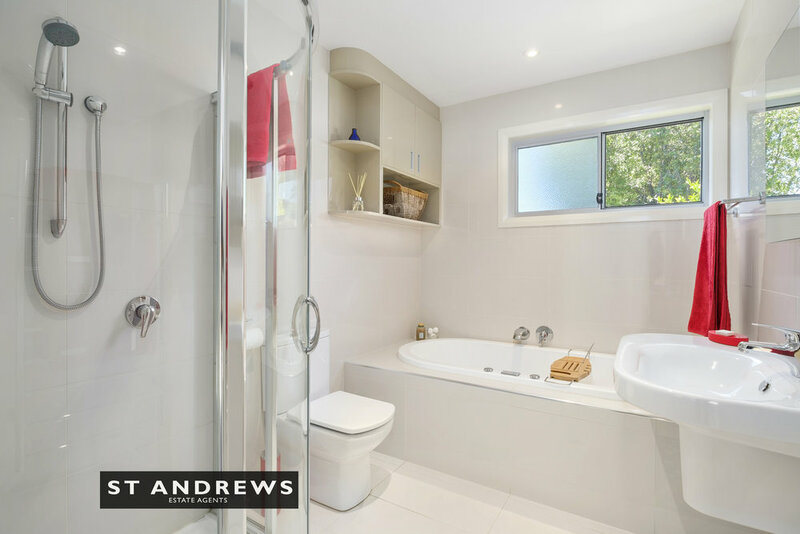 The home offers three double bedrooms (two with built in robes, master with walk in robe), two bathrooms, including ensuite to master, powder room, study, laundry and an open plan kitchen-living-dining area, opening onto a full-length covered deck. The double lock up garage with auto door provides for internal access into the home. 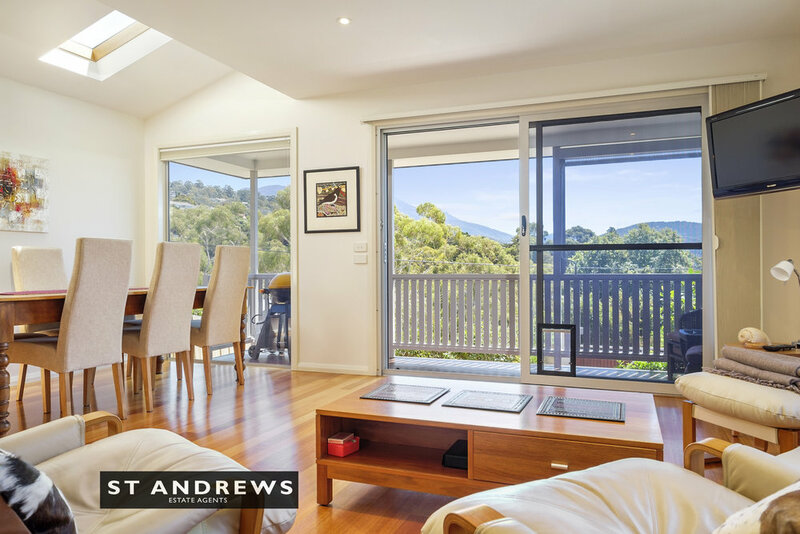 The property features a highly favoured north-westerly aspect and enjoys outstanding unimpeded views toward Mount Wellington in what is a particularly quiet and leafy setting. 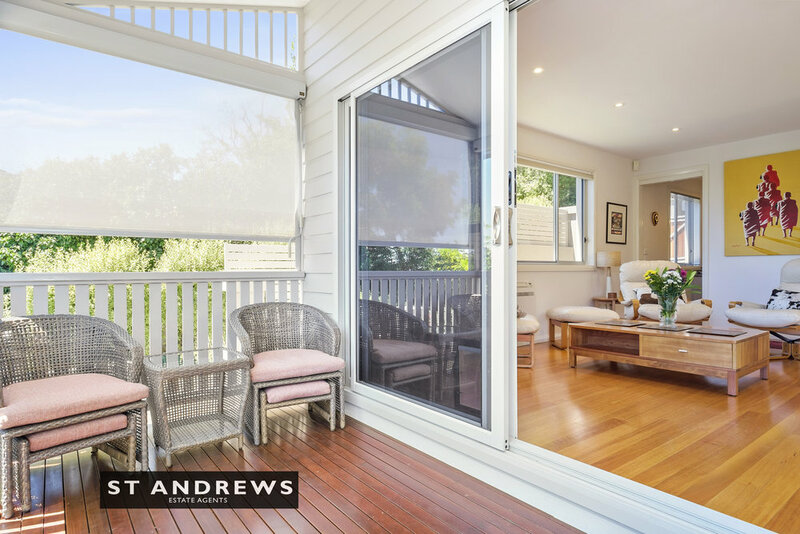 This thoughtfully constructed residence features polished Tasmanian Oak flooring to the main living areas, engineered stone benchtops and Siemens appliances to the kitchen, reverse cycle heating-cooling in the main living room (plus numerous panel heaters), under tile bathroom heating, excellent storage, internal garage access, fly-screens to all windows, security system and a prized private and sunny courtyard with separate access, the perfect place to wash vehicles, park a trailer, etc. 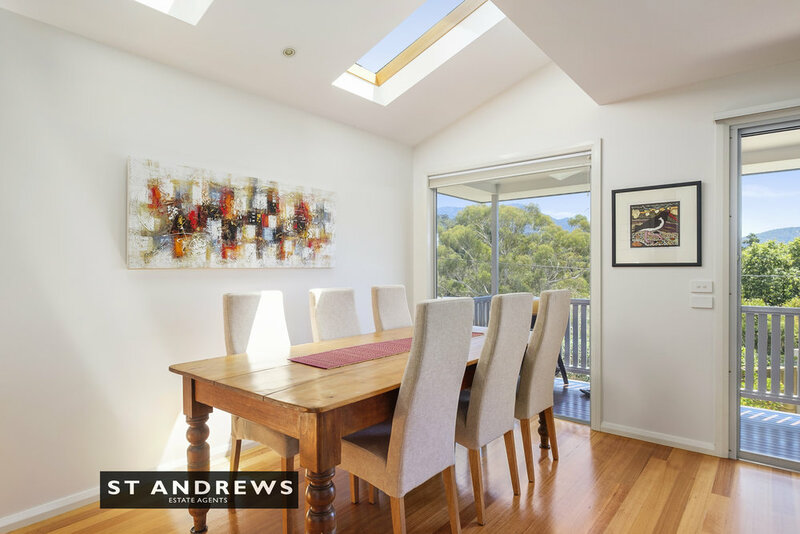 A first-class residential setting, within one of Hobart’s leading suburbs. The property is very convenient to Sandy Bay shops including major supermarkets and a host of restaurants and cafes, The University of Tasmania’s Sandy Bay campus, leading private schools such as The Hutchins School, Fahan School, Mount Carmel College, and well-regarded public schools such as Waimea Heights Primary. 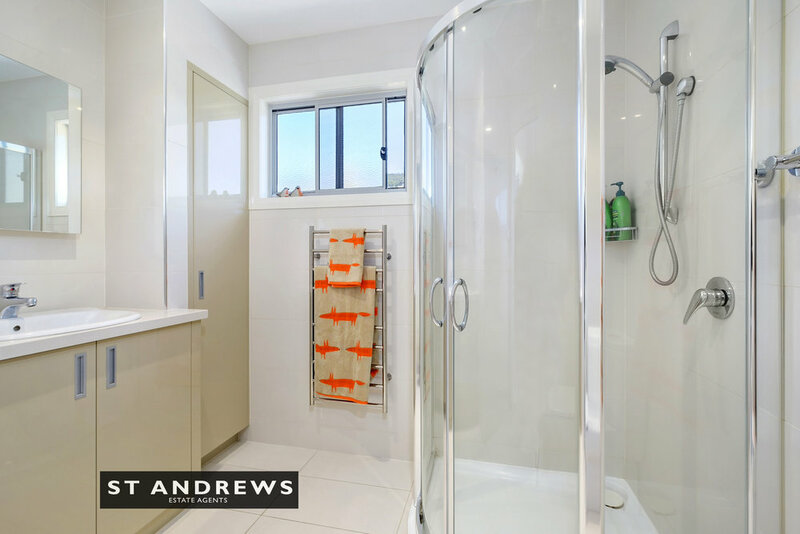 The location also offers excellent access to walking trails, reserves and represents a short drive into the city centre. 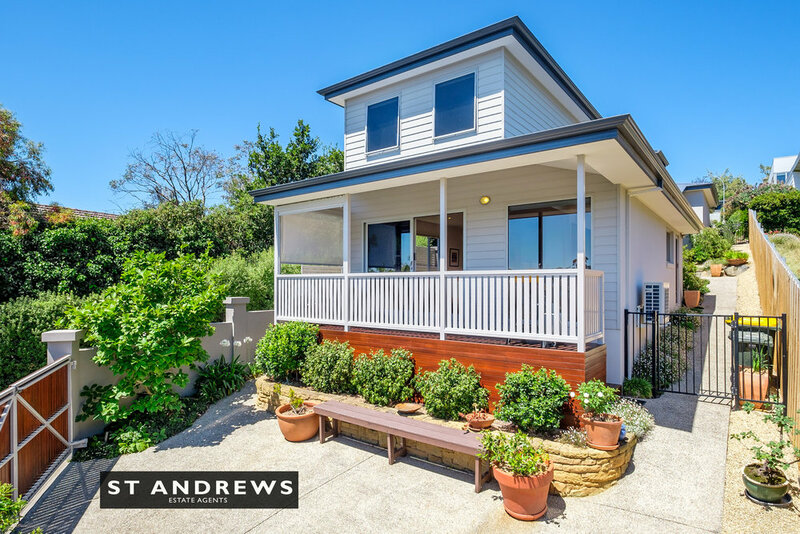 This impeccable townhouse is ideal for downsizers or young families desiring space, excellent sunlight and privacy, within a secluded and tranquil setting, on the doorstep of Sandy Bay’s amenities and attractions.